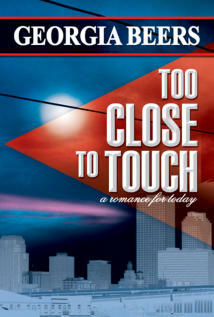 Life gets complicated when love turns out to be nothing like you expected – and the woman you want is too close to touch. Gretchen Kaiser is a workaholic corporate honcho with issues – she’s got daddy issues, she’s got female-executive-in-a- man’s-world issues, and she’s got one night stand issues. What she doesn’t have are love issues. She isn’t looking for it, she doesn’t feel she needs it, and she doesn’t expect to find it…certainly not right under her nose. Kylie O’Brien is the kind of girl who believes in true love and is willing to wait until it shows up at her door. Her best friend Mick would sweep her off her feet given the chance, but Mick doesn’t make Kylie feel the way true love should. And now Kylie has to worry about her new boss – Gretchen Kaiser’s icy reserve makes life as her administrative assistant a challenge.